MESSIER, MARTINE, wife of Antoine Primot; b. at Saint-Denis-le-Thiboult (or le Petit-Bourg), in the diocese of Rouen, in 1607; d. at Montreal some time after 1680. 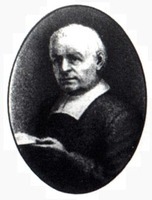 Primot and his wife were married in France and are mentioned for the first time in 1650 as being at Montreal, although Abbé Faillon maintains that they had been there since 1642. The adoptive mother of Catherine Thierry, who in 1654 married Charles Le Moyne, Martine Messier seems to have imparted to the famous Le Moyne brothers, her grandsons, the courage and sangfroid which she exhibited on at least one occasion. 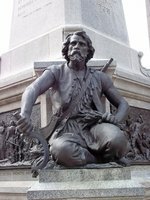 On 29 July 1652, at twice the distance of a gun shot from the fort of Montreal, Martine was attacked by three Iroquois. Although she was unarmed, she defended herself “like a lioness.” Having suffered several hatchet wounds, she finally fainted; but just as one of the Iroquois grasped her by the head to scalp her, “our Amazon” recovered consciousness, “rose more furious than ever and seized the brute so violently in a place which modesty forbids mentioning, that he was barely able to escape.” Her strength failed her and she fainted again, but her assailants fled at the approach of the defenders of the fort, who had been aroused by the victim’s cries. Martine was not dead, as was quickly realized. In a gesture of compassion, one of the settlers who had come to her rescue took it into his head to embrace her. Recovering consciousness, Martine immediately “dealt him a lusty box on the ear.” She explained to the astonished witnesses in her patois: “Parmanda, I thought he wanted to kiss me.” This retort caused great laughter, and subsequently Martine was never called by anything but the nickname la bonne femme Parmanda. ​Martine Messier was still living in November 1681. Martine Messier’s exploit is recorded in: Dollier de Casson, Histoire du Montréal, 84f. Marie Guyart de l’Incarnation, Lettres (Richaudeau), I, 470. JR (Thwaites), XXXVIII, 50–52. JJ (Laverdière et Casgrain), 174. 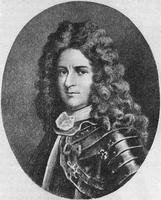 Vachon de Belmont, Histoire du Canada. For information about Martine Messier, her husband, and adopted daughter, consult: AJM, Greffe de Bénigne Basset, 20 mai 1660. Recensements de 1666 et 1667. Faillon, Histoire de la colonie française, II, 145. Archange Godbout, “Les origines de la famille Le Moyne,” RHAF, I (1947–48), 539. É.-Z. Massicotte, “Les colons de Montréal de 1642 à 1667,” RSCT, 3d ser., VII (1913), sect.i, 12f. ; BRH, XXXIII (1927), 184. Library and Arch. Can. (Ottawa), R11577-28-5. André Vachon, “MESSIER, MARTINE (Primot),” in Dictionary of Canadian Biography, vol. 1, University of Toronto/Université Laval, 2003–, accessed April 19, 2019, http://www.biographi.ca/en/bio/messier_martine_1E.html.